Orion Minerals announced on Wednesday that it had discovered a large new zinc-copper resource near its Prieska Project in the Northern Cape. "This is the first new VMS discovery in the Areachap Belt in over 36 years and highlights the enormous upside over and above the large, high-quality mineral resource we have already defined," said Orion’s managing director, Errol Smart, in a statement. The Areachap Belt is a base metals belt in the Northern Province. VMS refers to "volcanogenic massive sulfide ore deposit", a type of mineral deposit which may contain metals such as copper, zinc, lead and gold, among others. 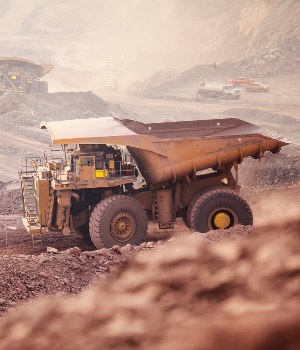 The Australian-headquartered company, which is dual listed on the JSE and the ASX, said in the announcement that it had upgraded its Prieska zinc-copper resource estimate to over 30 million tonnes. Smart said that Orion’s bankable feasibility study was "well advanced" and on track to be completed in the second quarter of 2019. "While our engineering and development team is focusing on the delivery of the Project, our exploration team will pursue the multiple emerging opportunities on the exploration front – establishing a growth pipeline that can leverage off the infrastructure we build at Prieska," he said.